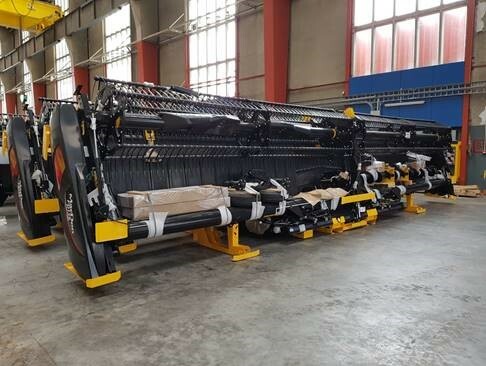 Recently, MacDon and Broekman Logistics signed an agreement for the warehousing, distribution and assembly of MacDon’s agricultural machinery products in the European market. 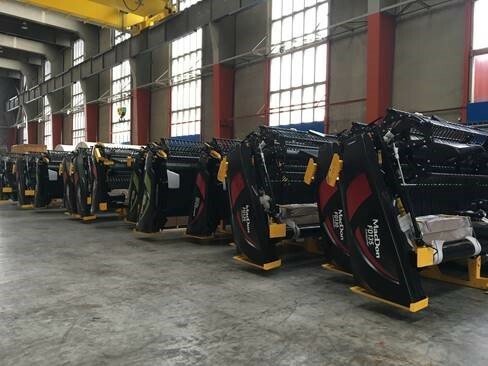 MacDon Industries, world leaders in the technology, innovation and manufacturing of high quality, high performance harvesting equipment, have recently announced their ambitions for entering the European market by opening a European office. 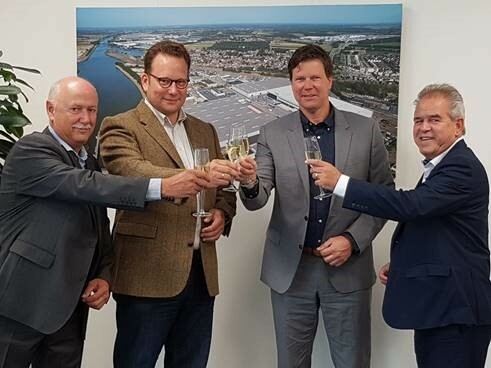 To upscale and accelerate these ambitions, MacDon have selected Broekman Logistics as their prime partner for logistics and assembly services in Europe. Benedikt von Riedesel, General Manager MacDon Europe, explains; “As we see a growing demand for our high-performance products across the continent, we want to focus on our core business, the sales and support of our products to customers in Europe. That is why we have chosen Broekman Logistics as competent partner to completely take over warehousing, distribution and final assembly of our products in Europe. Broekman Logistics are specialised in market segments which require complex solutions, and they are experienced in the final assembly of agricultural equipment. Our partnership will thus include forwarding, storage, final assembly, transportation to our end customers as well as dealing with all customs affairs”. “MacDon’s decision to set up a dedicated European distribution structure is the logical solution to the noticeably growing demand in European markets. Broekman Logistics have a proven track-record in offering total supply chain solutions and assembly of machinery. This makes us highly confident that with this partnership, we can accelerate our European market expansion and meet the demands of European farmers, providing them with our next level harvesting technology”, adds von Riedesel. For nearly 70 years MacDon have been a world leader in technology, innovation, and manufacturing of high-performance harvesting equipment. Their harvesting history is rooted deep in the rich prairie heritage of Winnipeg, Manitoba, Canada. MacDon products are distributed and supported worldwide from offices in Canada, the United States, Australia, Russia, Brazil, and Germany. MacDon’s relentless pursuit of improvement, driven by their desire to make harvesting easier and more productive for farmers. Working directly with producers and custom harvesters in the toughest real-world conditions; this relationship guides MacDon to pioneer industry-leading innovations like the FlexDraper®. MacDon have a worldwide reputation for excellence as The Harvesting Specialists, and they are proud to make the equipment that help producers harvests the crops feed that world. Since the start of Broekman Logistics in 1960 at the Port of Rotterdam, the company have grown into one of the leading full-service supply chain companies in the Netherlands. With its 32 offices, terminals and warehouses in the Netherlands, China, India, Singapore, Belgium, Poland and the Czech Republic, Broekman Logistics offers its clients a full suite of supply chain services: from forwarding, shipping, and distribution services to the specialised breakbulk terminals and combined non-ADR / ADR class warehouse locations. Together with its long term Network Partners around the Globe, Broekman Logistics’ 800 supply chain professionals put their pride and joy in providing a Global Reach with a Personal Touch to their clients.